The LaGrange Engine Club is a long standing Lorain County organization. We are a 501(c)3 non-profit corporation formed in 1970. 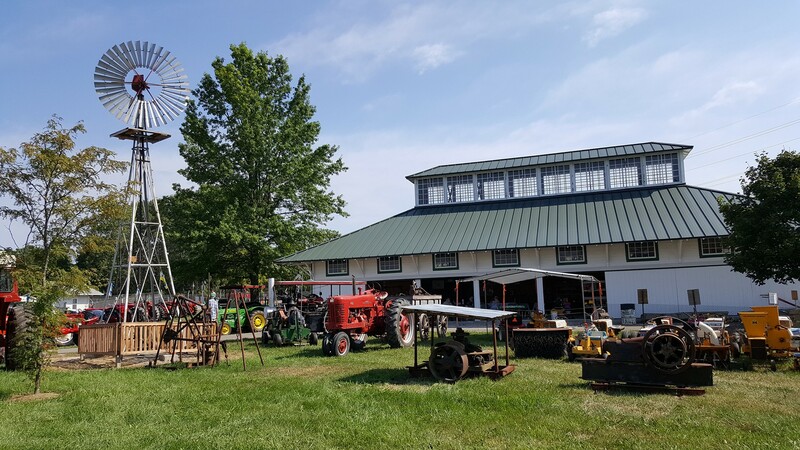 Our club is very dedicated to the restoration, preservation, and display of antique farm and industrial machinery and engines. In 2006 we came to an agreement with the Lorain County Agricultural Society in order to save a display barn from the early 1900’s that was at the original Lorain County Fairgrounds in Elyria, Ohio. The building has a unique design, topped by a long cupola with large windows. The structure, now known as the Heritage Barn, is used regularly by our club during the Lorain County Fair and our annual show held in September. In 2012 our organization was responsible for moving an old farm shop to the Fairgrounds and turning it into our current blacksmith shop. We laid a stone foundation, built a forge, and acquired many tools from members to make it a real working shop. The club holds monthly meetings starting in February through November. With the exception of the the October meeting/potluck all our 2019 meetings will be held at the Lorain County Metro Parks Carlisle Visitor Center, 12882 Diagonal Rd., LaGrange, Ohio. The business meeting begins at 7:30PM and ends with refreshments and fellowship. February 14th, March 14th, April 11th, May 9th, June 13th, July 11th, August 8th, and September 12th.